HTC is a well known name in the mobile market. HTC, The mobile Manufacturing Company has again launched two more products i.e. HTC Desire Z and HTC DESIRE HZ. Both the phones have stylish features and great looks. Both the phones operate on 2G and 3G both. Both the phones have different features. The HTC Desire Z has a 5 mp camera with auto focus and LED flash and HTC DESIRE HD has an 8MP camera which has auto focus and dual LED flash. 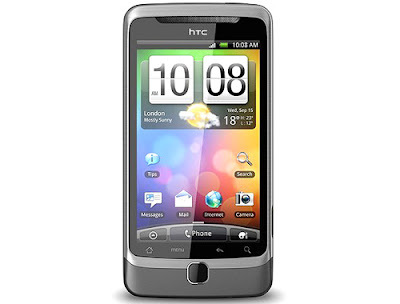 The display of HTC HTC Desire Z is made of S-LCD capacitive touch screen while that of desire HD is LCD touch screen with 16M colors. The internal memory of HTC Desire Z is 1.5GB and it has a RAM of 512 MB and space for external memory is also available for expansion of memory upto 32GB. The desire HD has an internal memory of 1.5 GB and also has 768MB of RAM. Both the phone supports geotagging and face detection. Both the phone operate with the operating system of ANDROID v2.2.Both the phones support unlimited phonebook entries and unlimited voice call and log records. 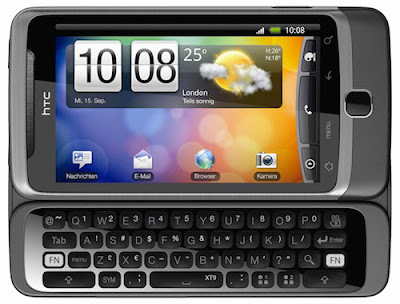 HTC Desire Z is a slider phone with a QWERTY keypad and DESIRE HD is a fully touch screen phone with multi touch input method. Both the phones have a 3.5mm audio jack. Both the phones have GPRS/EDGE of class 32 for packet data transfer. Both the phones are also provided with GPS navigation system with AGPS support for navigation purposes. Both the phones have proximity sensors for auto turn off of screen. These phones have so many interesting features like radio, messaging, mms, email, pushmail, hotmail and calendar, real time clock, stop watch etc. The option of WLAN is also provided for internet browsing. These phones have inbuilt games and support java application format. The sound and picture quality of both the phones is very impressive. Application like face book, twitter can be easily operated from the phone. The phones make it very east to connect to a number of friends with a single click and also photo sharing, you tube videos downloading is also available. These phones have also an option of USB support for easy and instant data transfer. Both the phones have weight of 160-180g and have Bluetooth for local data transfer. The phone supports MP3 ring tones and vibration alerts also. The phones have been launched in India and are really impressing the buyer with it features. It is expected by the company that these two phones will surely affect the market and will give strong competition to other products of its range and class.